Overview of dive spots around Mactan Island, Philippines. Mactan Island is one of the most popular dive destinations in the Philippines. The marine life on Mactan and the surrounding islands, especially in the marine sanctuaries, is so colourful and diverse that it keeps divers coming back for more and more. Mactan and the surrounding islands offer excellent shore-based diving and a rich variety of dive sites: Abysmal drop-offs, deep walls, steep slopes, coral mounts and plateaus, seagrass beds, caves and caverns and even two wrecks. On all dive spots you have the chance to see groupers, sea snakes, frog fish, barracudas, leaf fish, mandarin fish, scorpion fish, stone fish, blue ribbon eels, nudibranchs, squids, octopus, rainbow runners, puffer fish, clown fish, sweet lips, moray eels, snappers, drummers, harlequin fish, butterfly fish, fusiliers, pipe fish and many others. In the bigger marine sanctuaries you will see schooling mackerel and jacks, turtles, sting rays and occasionally big eye trevallies. 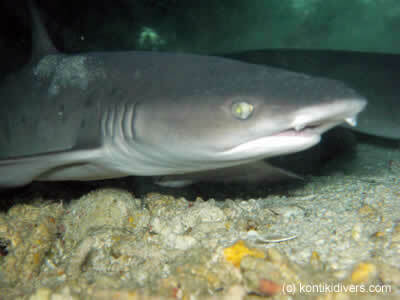 Some dive spots are home to thresher sharks and, if you are lucky, hammerhead sharks. Most dives are wall dives and drift dives. 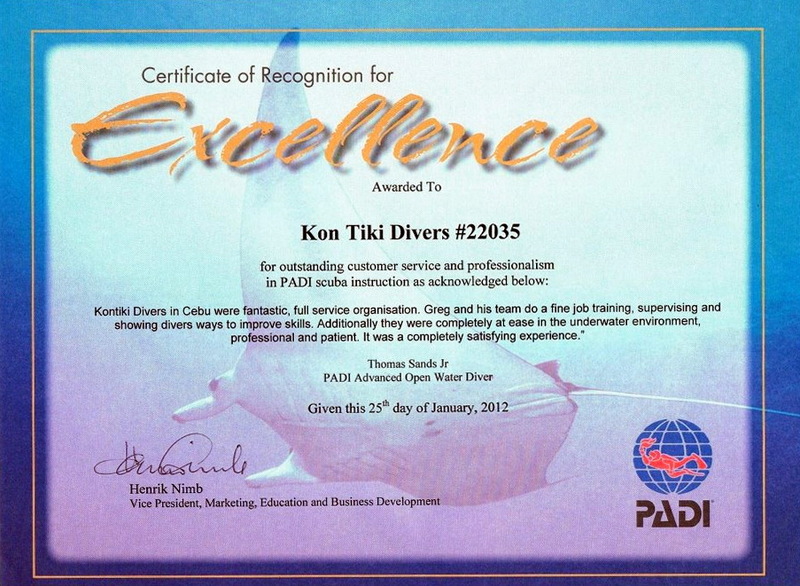 The Kontiki Reef is where we conduct our shore dives. The reef top slopes gently to about 10m / 30f and drops to about 50m / 100f, where steep slopes and drop-offs continue to fall to depth over 100m / 300f. The shallow part of the reef offers coral mounts set into sea grass beds and an artificial reef artifact, a giant iron clam which was sunk by our team in the 90s. The clam is now totally overgrown with hard and soft corals and teeming with marine life. 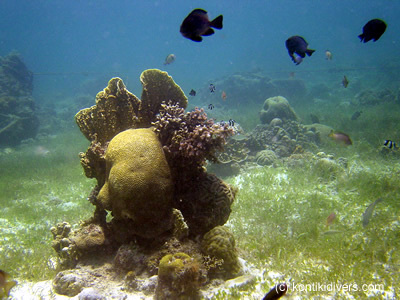 The top of the reef, about 8m / 25f deep, is home to nice seagrass beds and coral mounds. The reef slopes to about 30m / 90f where is hits the sandy bottom. At a depth of 22m lies the fuselage of an airplane, placed there as an artificial reef (see video). Lots of smaller reef fish will approach you, looking for a hand-out, since this used to be a fish feeding station. 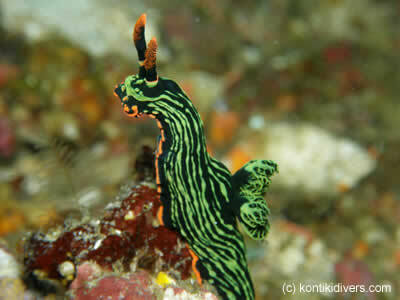 If you are an underwater photographer, you will surely enjoy this spectacular place. The reef slopes gently to about 30m / 90f where several drop-offs drop to about 50m / 150f . The bottom composition is mostly sand and seagrass beds with coral formations and lots of soft corals, even big ones like the elephant ear coral, with a large amount of smaller reef fish and huge variety of invertebrates. Since the establishment of the marine sanctuary the dive spot is also home of barracuda, parrotfish, lionfish, a beautiful school of jacks, and a huge school of silver batfish. This is where the marine biologists of San Carlos University used to do their field work. The reef top has nice hard and soft coral coverage but the steep wall, which drops from about 8m / 25f to 50m / 150f, is outstanding. At parts overhanging wall with lots of crevices and caverns and huge black corals everywhere. An easy dive along a wall nicely covered with soft and hard corals. These impressive dive spot is home to anxtraordinary array of sponges, ferns, anemones and a swarming host of brightly coloured reef fish. 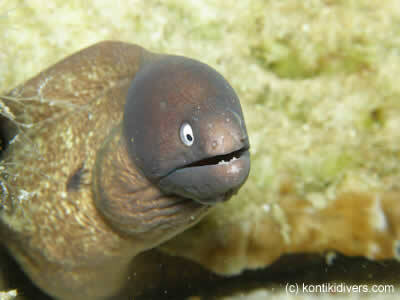 Groupers, parrot fish and sea snakes are among the common encountered residents of this dive spot. The reef is perfect for a drift dive, since the wall drops from 10m / 30f to about 30m / 90f, with some small caverns and interesting underwater topography as well as colourful reef creatures. 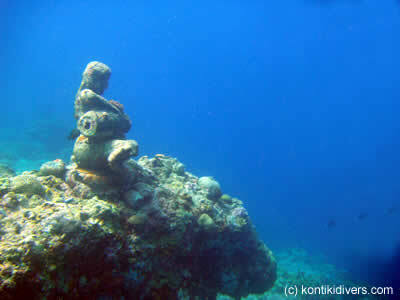 Marigondon Cave is one of the most famous dive spots of Cebu, strictly for advanced divers only. Usually you drop of the dive boat well before the cave and drift towards it with the usually current at 30m / 90f. The cave entry stretches from 27 to 37m / 90 – 130f. The diameter of the cave is about 10m / 30f. You can dive into the cave for about 40m / 120f. There are lion fish at the entry, deeper inside a school of strange flash light fish blinking in the dark and some giant crabs. This is truly an amazing dive. Nitrox is strongly recommended for this dive. 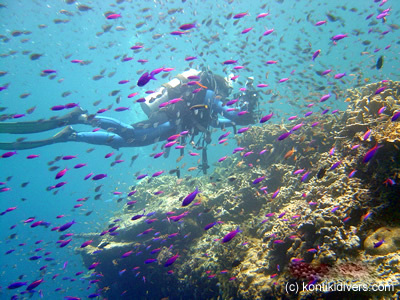 Cabilao Island has many dive spots which are in a league of its own. The overhanging walls, fringed by untouched coral reefs, drop from a plateau to depths of 70 meters / 220f and more. Often large schools of pelagic fish pass by, a big school circling barracudas made the island their home. Two dives are conducted here on our day trips. Diving in Hilugtungan is usually done on a day trip. The marine sanctuary offers a vibrant marine life in the shallows: some turtles, some big schools of parrot and bat fish, schools of jack fish, drummers, ribbon sweetlips, black snappers, midnight snappers, surgeon fish and others. Excellent for beginners and u/w photographers. This is another day trip: The sanctuary offers excellent diving for beginners and u/w photographers. At the beginning of the dive you will encounter a vast colony of blue spotted sting rays. 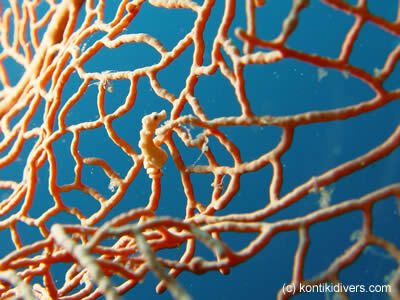 Further on the amazing fish life and the abundant marine life will take you in. 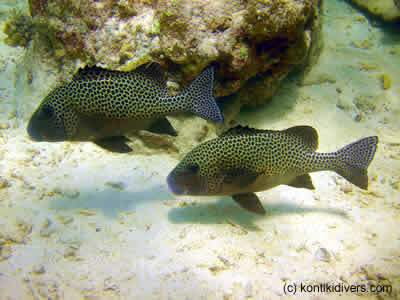 Lots and lots of small ref creatures and a huge population of big groupers. Excellent hard corals with some amazing table corals. This is a deep dive only for advanced divers. You swim down a sandy slope until you hit a drop off at about 25m / 75f. Down the wall you go until you hit a ledge about 40m / 130f deep. This is the shark point. 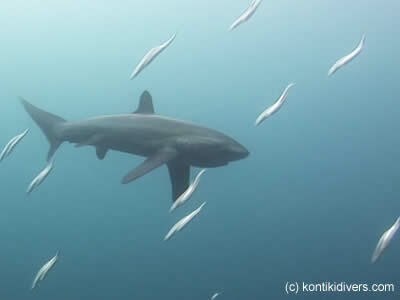 If you are lucky you will see thresher sharks here, or even a hammerhead. A big cavern begs to be explored, but watch your bottom time. This dive is done on a day trip with a dive at the Talima Marine Sanctuary. 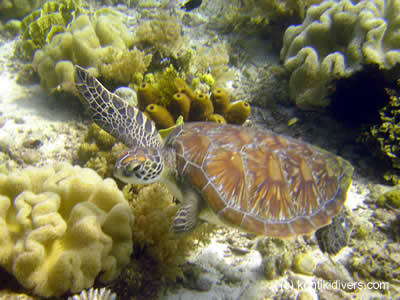 The reef in 10-15m / 30-50f has a nice sandy bottom, with seagrass beds and coral mounts and an amazing fish life. Schools of bat and jack fish swim past as you drift along the wall which descends from 15m / 45f to 50m / 150f. The skeleton of a small wreck is home to an array of teeming marine life. 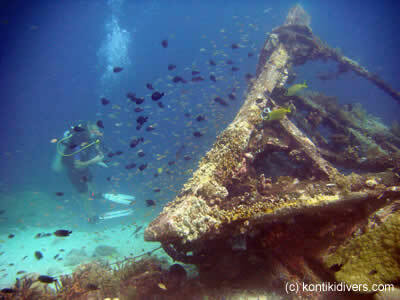 Wreck diving is fascinating and challenging. The San Juan ferry in Liloan Bay is no exception. The 60m / 180f long ship sunk in the year 200 and lies in 50m / 150f of water. The top of the ship is just inside recreational diving limits, at 35m / 115f. 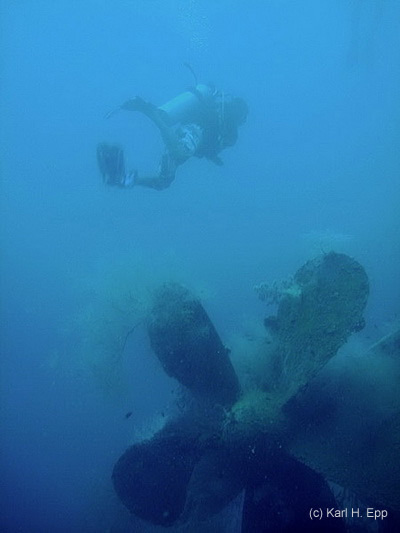 Usually to deep dives are conducted on a daytrip to this wreck, with a longer surface interval.